This week I traveled to Meteora, Greece to visit the Great Monastery. 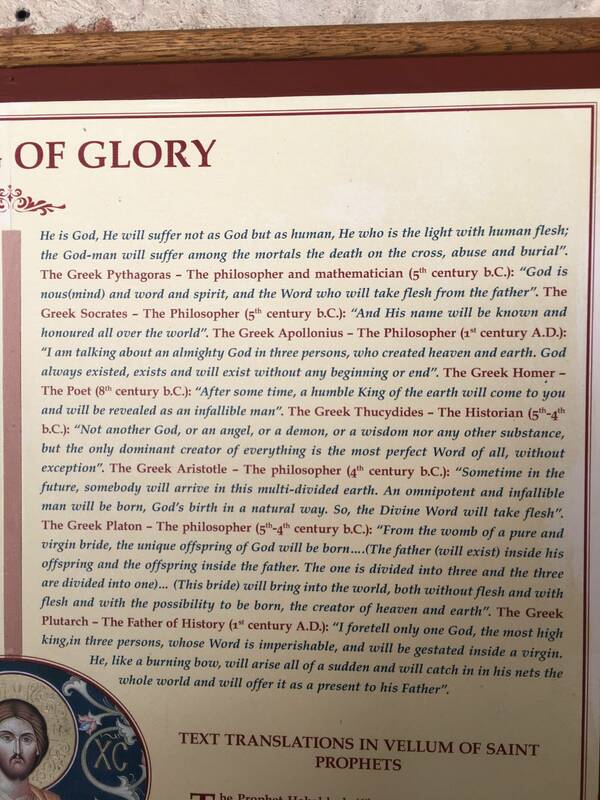 I found a text there quoting famous Greek persons from ancient times (b.c.) writing about a messiah with christian attributes. I searched for sources for these quotes but could not find any. Are these quotes real? Are there sources? If these are real, why did the Greek New testament never quote them? Browse other questions tagged life-of-jesus eastern-orthodox greek messiah or ask your own question. Can English people go to Greek Orthodox churches in England? Greek- what's the difference between Ιησοῖ, Ιησούς, and Ιησού?